Sun 1m jog warm-up, sub-40:00 10K 1m cool-down. Tuesday, Wednesday and Thursday’s runs were all difficult because of the wind. Difficult in terms of hitting the required pace, but I got great workouts; resistance training, eh?! I did not record my warm-up and cool-down miles on Thursdays run as I was setting out for a Strava badge at Jantastic (the SPeedster – completing a run at 7min 30secs avg pace) and the coll-down and warm-up would have slowed down my average pace. It is online, non-tangible badges at Strava and Jantastic that motivate me really you see! Sunday was supposed to be a race day. The issue is that I have a young family who I want to spend as much time with as possible, and I have quite a lot of races coming up this year. Therefore, I attempted to run the 10km as close to race-pace as I could. It was not happening. With strong winds, I was way off the pace I wanted and in total was 5 minutes slower by the end than I should have been without wind and in race conditions. Ah well. That was January over with and a time to reflect. I have written before about the benefits of understanding how we attribute success or failure to our running (or any sporting performance) and I like to be positive. – In January, I established a great base of miles. – My endurance is up greatly from the end of 2014. – My speed is getting there. I am capable of running faster for longer than I have since I PB’ed in 2012. – I weight less and feel healthier than I have done for many years. – I have advanced belief in myself. These are not actual, directly achieved or measurable outcomes. They are quietly reassuring reflections that mark my attitude right now as I look toward the months of February and March when I will be increasing my mileage a great deal indeed. If, as I said in my opening line today, January is a month for developing a solid base, getting into the rhythm, framing the way forward, getting foundations in place; then I certainly feel that I achieved that. The last point of my reflection is an important one indeed. One of the things I had in abundance back in 2012 when I ran my marathon personal best time, was belief. I had raced plenty and knew what I was capable of. I am not currently in that same space mentally, despite being certain that I am in better shape than I was then physically. Mainly because I have not raced for a while and secondly because I have not been able to achieve all the fast paces that my schedule says I should. I am certain that will come and I also think being humble and not getting too big for boots at this stage is important, so although positive, I am staying relaxed and might be more confident with a great deal more belief when the next month has been ticked off. I could spend additional time working on my belief in my psychological preparation sessions, but I am choosing to let it come a bit more organically as I gain in strength and speed when running. One of the things that I have stopped doing is drinking caffeine when running or as running preparation. I like to feel like I am running the miles truly. That is, I am running in a way that is an honest account of my ability and not fuelled by caffeine only to feel exhausted at the end and needing to spend the remainder of my Sunday (post long run) unable to enjoy time with my family. For me, belief is similar. I know what I am capable of and I also know that I could advance my level of self-assuredness using self-hypnosis and other means. However, I am currently choosing to use evidence to fuel my belief; the results of the efforts I am investing. There are memes that circulate Facebook and get batted around the groups I follow that are about beliefs not trumping facts. Opinions do not equate to facts. Soooooo I could manipulate my opinion of my own running ability and develop belief, but I intend for it to be supported by fact as much as is possible. I want to remain sober about it…. At least until I cross the line at my first Spring marathon this year…. I did state that I’d add some technique or strategy last week, however, we had an incredibly busy week and what I was going to write last week will get shared later this week. However, you may be interested in reading a very relevant article I wrote at my main hypnosis website here, about living life in the slow lane. 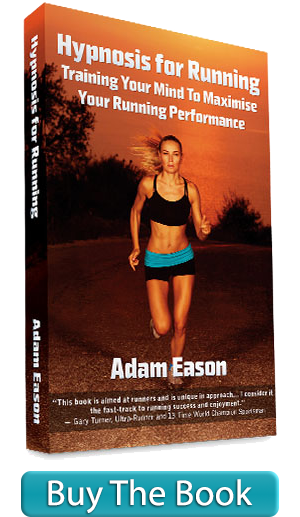 I think if you read it, you’ll gain plenty from it, lots of runners have said so.